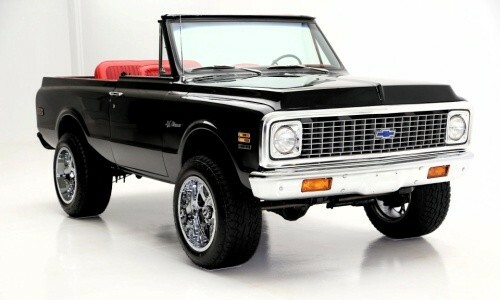 Welcome to our K5 Blazer Parts page! As we develop this site we will be feature a full featured parts catalog here. For now though please see the various online resources we have listed below. Also be sure to check out our Blazer Soft Top Page for more specifics about this unique accessory. to browse eBay for Chevy K5 Blazer parts. You can also use the widget below for popular K5 Blazer parts. You can also check out the K5 Blazer Section on Amazon. This is especially useful if you are an Amazon Prime member as many of the parts offer free Prime 2-day shipping. Listed below are some of the best places online to find new and used K5 Blazer parts. This includes original OEM parts along with aftermarket accessories. Parts may be refurbished, restored or in various conditions. Please be aware these are all third party websites and BlazerForSale.com shares no affiliations.